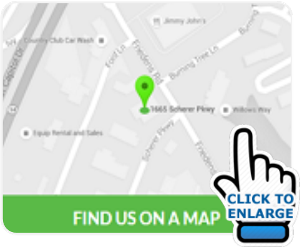 Batteries are a huge part of modern life in St. Charles Missouri. I mean, how many battery chargers do you have? Of course, our purpose here is to talk about your car battery. When people come into our St. Charles Missouri service center and need a new battery, they're really not that happy about having to spend the money. But the fact is that 70 percent of batteries don't make it for 4 years. There are some things that you can do to extend the life of your battery. First, keep it clean. If you see it getting dirty or greasy, let us know at Sparks Tire & Auto and we can clean it off. A dirty battery runs hotter and that shortens its life. If your battery terminals are corroded, let us take a look at that too. We can clean them, and if the corrosion has gotten into the battery cables, we can replace them. Because we often take short trips around St. Charles with lots of stops for errands, our batteries can end up not getting fully recharged just by driving around. That also shortens battery life. You can hook up a good quality automatic battery charger at home from time to time. We recommend charging once a month during hot months and every three months during cold months. Car batteries last longer in cold climates than in warm. Cold starts put a greater demand on batteries, but heat is a big factor in car battery life. We can test you battery for how well it holds a charge and to estimate how much life it has left. At Sparks Tire & Auto in St. Charles, MO. we install quality NAPA replacement parts. Give us a call at (636) 946-5900 and let us help keep you safely and economically on the road. 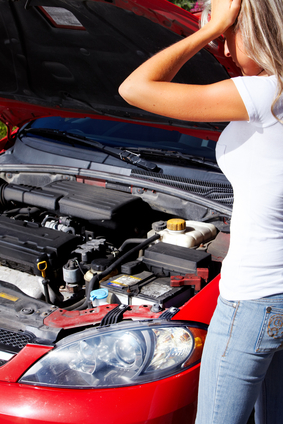 Car Battery Even if you have the most meticulously maintained vehicle on the road, without a well maintained battery, your vehicle may not start or even allow you access to the vehicle. 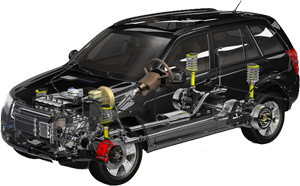 From power door locks to auto start systems, today's vehicles rely on correct voltage and clean connections to allow today’s technology dependent vehicles to perform and take you to your destination. When your car's engine is off, the battery provides the required power to the rest of the system, as well as during start-up (cranking). It also supplements the power from the charging system during periods of high demand. Composed of a series of lead plates submerged in a 35% sulfuric acid/65% water solution, your 12-volt battery houses a chemical reaction that releases electrons through conductors, producing electricity which is then channeled into your vehicle's electrical system. 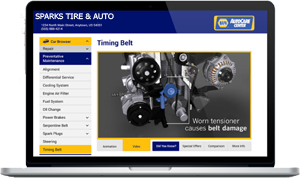 The charging system is the life force of your vehicle's electrical system, It consists of three main components: the belt-driven alternator, various electrical circuits, and a voltage regulator. The alternator supplies power to the electrical system and recharges the battery after your car has started. Just like it sounds, the voltage regulator controls the voltage, keeping it within the operating range of the electrical system. You’re in luck — car battery maintenance is one of the easier types of DIY work you’ll encounter with an automobile. While some modern battery designs are called maintenance-free, this really only means they don’t have to be filled with water like the maintenance accessible designs used in the past. You still have to keep up with the proper storage, cleanliness and inspection cycle on a maintenance-free design as you would with any other battery, so it helps to know what to watch out for. Corrosion on battery terminals can be caused by many things, for example, exposure to salt in the air from the ocean or spray from winter roads, gases that are naturally vented by certain types of batteries and hard use or repeated jump-starting. 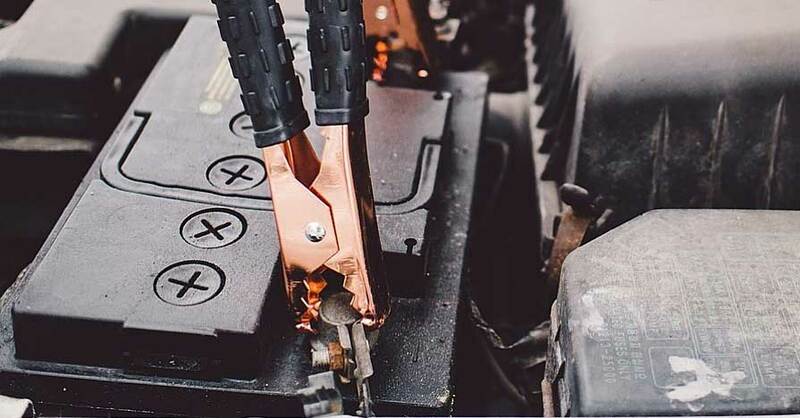 If you see corrosion on your battery terminals, use a wire brush to clean it off completely, thus preserving a strong connection between your cables and the battery. A battery that’s having trouble keeping a charge, or isn’t charging as strong as it used to, is a sign that it could be on its way out. It could also be an indication that there’s a problem with your alternator that you need to deal with before it damages your battery. 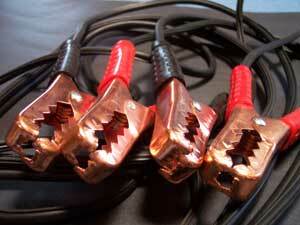 Keep an eye on your car’s voltage needle and note any unusual behavior. If your vehicle doesn’t come with this gauge, use a multi-meter every month or two to check the charging voltage right at the terminals. 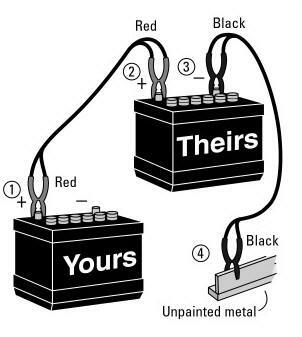 Batteries can become damaged in any number of ways. If you see any leaks, cracks or deformation of the battery case, it’s time to replace it. Give the terminals a good cleaning. Look for damaged, loose or corroded terminals. A damaged battery, in a worst case scenario, can build up or leak hydrogen gas (a by-product of the chemical reaction inside) that if exposed to a spark when charging, jump-starting or even turning the key in your ignition, can explode and cause injury. 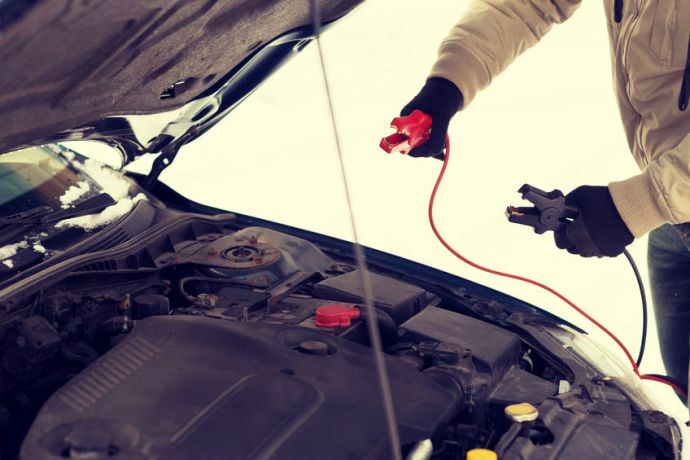 Follow these battery maintenance tips and you may be able to avoid seeing those jumper cables.